Now Open! The Foot & Ankle Center has opened a second office to serve patients in the Colonial Heights, Petersburg and Hopewell areas. 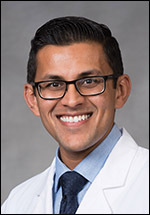 Dr. Sagar Shah provides complete podiatric care for all ages in this location, including foot surgery, wound care, diabetic foot care, orthotics and sports medicine. New patients welcome! Our Colonial Heights office will be open weekdays, 8:30 a.m. - 5 p.m.
We are participating providers with ALL major commercial insurance plans in this area. Please call our office to verify acceptance of your insurance carrier. Patients may choose the convenience of paying their bill with Online Bill Pay. We believe our patients deserve to have the information they need to make good choices about their foot and ankle care. Our goal is to educate each patient and provide a treatment program with the highest quality of care available. If you are experiencing an orthopedic foot problem or any type of problem with your feet, ankles or nails, we'll work together to find the answers that will comfort you and bring you relief.